Manchester United really struggled to get a new victory at Old Trafford on Saturday, they beat Southampton with a Romelu Lukaku brace. 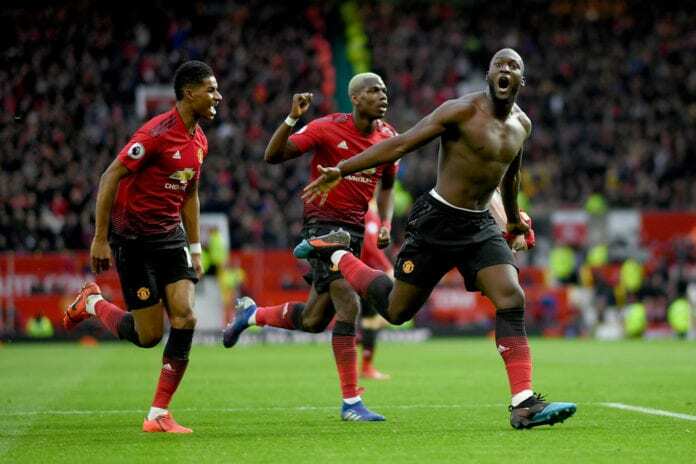 Belgian striker Romelu Lukaku appears to be completely involved in Manchester United’s dynamic now, the Red Devils got a visit from Southampton and the striker responded accordingly to this new challenge with his second consecutive brace. Ole Gunnar Solskjaer’s squad wanted to get as confident as possible to next week’s Champions League clash against Paris Saint-Germain, which is why the manager really did line up some of the best players available to him for this match. Playing against Southampton didn’t matter, this is a squad that is currently fighting to avoid relegation but they are still a brave squad that never surrenders as they proved during this match. The fans who attended Old Trafford really got their money’s worth this evening, they all got a match filled with amazing goals from both sides and even a dramatic final minutes that could’ve balanced the result either way. Even the start of the match was dramatic as Valery scored the initial goal with an absolute screamer from a long distance, the shot he took went straight into David De Gea’s post but the Spanish goalkeeper wasn’t able to prevent the ball from going in. Manchester United had to endure that loss for the rest of the first half, the rest of the action was reserved for the last 45 minutes. 🤔 Who's your #MUFC Man of the Match? This match was destined to give us great moments, Andreas Pereira didn’t take long to make sure of it during the second half as he too decided to take a long-range effort that plunged into the top corner. United was back in the game quite early into the second half, and we still hadn’t gotten notice of striker Romelu Lukaku. The Belgian’s first goal was very controversial, as he got an assist from Andreas Pereira in which he was clearly offside but the referee decided to not call it. The forward didn’t hesitate to get the ball in the back of the net after getting the pass from the Brazilian midfielder, United took the lead with thirty minutes still on the clock and the best moments of the match were still ahead of us. With 15 minutes still left on the clock, a foul was called for the Saints and James Ward-Prouse prepared to take a shot from a set-piece. The young midfielder’s free-kick was nearly perfect, the way he struck the ball was actually very reminiscent to the way in which David Beckham scored so many goals at Old Trafford in the past as it went into the top corner and gave the Saints a very valuable equalizer that effectively kept them a little above the relegation zone. It was already clear that Manchester United was going to have to fight really hard to get the victory, all the players were invested in getting those three points because they wanted to earn the Top Four position that Arsenal left vacant earlier in the day after their draw against Tottenham Hotspur in the North London Derby. It was Romelu Lukaku who got those three points for the Red Devils, with a turn-around goal that came with only two minutes left on the clock. French midfielder Paul Pogba wasn’t having a fantastic day in terms of goals and assists, his evening got even worse as he missed a penalty that was awarded for Manchester United during the very final minutes of the match after his shot went straight to the middle and gave the goalkeeper the chance to prevent United’s fourth goal. 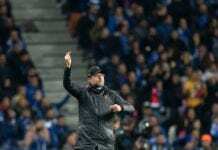 Southampton may be a club that is currently fighting to avoid relegation, but they still showed they are a Premier League side that never gives up. This result confirms Manchester United in the Top Four position, but this place will get challenged next weekend as they visit Arsenal at the Emirates Stadium on Sunday, March 10. This is now the 12th straight undefeated match for Ole Gunnar Solskjaer, the Norwegian manager keeps his perfect run for Manchester United. What did you think about this new Manchester United victory on ‘Fergie Time’? Please share your opinion in the comment section down below.